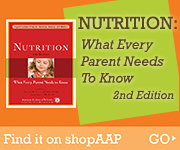 Healthy Children > Healthy Living > Nutrition > Are Your Kids Hungry or Just Bored? ​Children (as well as adults) often use food for reasons other than to satisfy hunger. Children often eat in response to their emotions and feelings. If your child seems hungry all the time, use the following tips to get a better idea of what is really going on. If your child is eating 3 well-balanced meals and 1 snack a day but still claims to be hungry, there may be other reasons beyond hunger that make him or her want to eat. Does your child sometimes reach for food when experiencing any of the following? Does your child eat at times other than regular mealtimes and snacks? Is your child munching at every opportunity? Do you reward your child with food (does an A on a test sometimes lead to a trip to the ice cream shop)? This can inadvertently contribute to your child’s obesity. When your child is doing things right, do you tell him or her? Words of approval can boost a child’s self-esteem. They can also help keep a child motivated to continue making the right decisions for health and weight. How are you speaking to your child? Is it mostly negative? Is it often critical? It’s hard for anyone, including children, to make changes in that kind of environment. If you suspect your child is eating out of boredom, you may need to steer him or her toward other activities as a distraction. Make sure your child is eating 3 well-balanced meals and 1 snack a day. This will prevent feelings of hunger between meals. Offer healthy snacks such as raw vegetables, fruit, light microwave popcorn, vegetable soup, sugar-free gelatin, and fruit snacks. Snacks such as chips and candy bars have empty calories that will not make your child feel full. Your own relationship with food and weight, dating back to your childhood, can influence the way you parent your own child. One of your biggest challenges is to determine whether your child is eating for the right reasons.